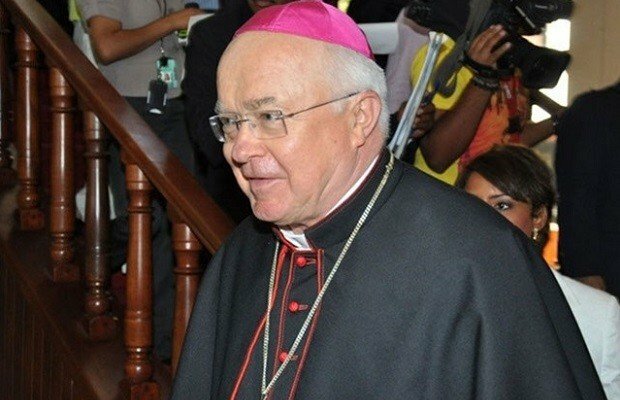 Vatican’s former ambassador to the Dominican Republic Jozef Wesolowski has been put under house arrest following allegations he abused young boys in the Caribbean country. Archbishop Jozef Wesolowski has already been defrocked after the Vatican’s canon law court found him guilty in June and imposed its toughest penalty: laicization, or returning to life as a layman. On September 23, the Vatican’s separate criminal court opened a preliminary hearing into his case and ordered him placed under house arrest. A Vatican statement said Jozef Wesolwski presented medical documentation detailing health concerns that prevented a more restrictive type of detention. The Vatican has a few small detention rooms inside its police barracks. Jozef Wesolowski could face jail time if found guilty.